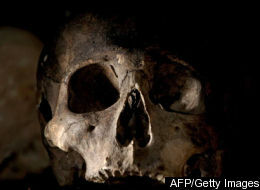 NECROPOLOGY.COM is the home of NEW ZOMBIE SCIENCE. Dave & Bob author and publish FREE, FUN, ORIGINAL zombie physics papers. We're not selling anything - so GO! The Helens would like you to know they have no affiliation with any of these sites, they just think they're cool. The Helens would like to see your "MOON OVER" shot. If you email it to your favorite Helen, it might make it onto the website!